Welcome home to Tower Village Apartments! Our comfortable community offers beautiful one, two, and three bedroom apartments. Our units feature private patios and balconies with scenic views, generous walk-in closets, equipped kitchens, and a spacious, open design, creating the ideal space for both relaxing and entertaining. While living at Tower Village Apartments, take advantage of our premier amenities, including offstreet parking, easy access for those with limited mobility, emergency maintenance, controlled access entry, and high speed internet access. 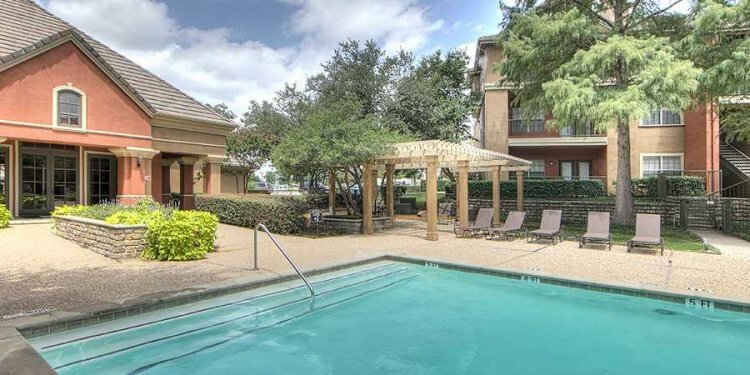 Enjoy relaxing by our refreshing pool, or connect with the neighbors while using our onsite laundry facility. We have no doubt you will love living a life of comfort and relaxation at Tower Village Apartments! Select a floorplan to take an HD walkthrough video tour, or call our friendly leasing staff today to schedule a personal tour of your new apartment at Tower Village Apartments. At Tower Village Apartments, cats are welcome! Our extraordinary quality, tranquil atmosphere, and comfortable lifestyle make our beautifully landscaped community a perfect place for you and your furry friend to call home. Our community is beautifully situated just off of the John Carpenter Freeway, Airport Freeway, and Walton Walker Boulevard, providing residents with a quick and easy commute anywhere in the area. Less than 20 minutes to downtown Dallas, Tower Village Apartments are found in the perfect location for those looking to be close to all the sights and attractions of the big city while still maintaining the comfort and convenience of the suburbs. Located next to The University of Dallas, our apartment community is only a short distance away from a wide variety of schools, restaurants, grocery stores, and shopping options. When living at Tower Village Apartments, residents can easily enjoy a day on the green at one of several nearby golf courses, or spend the afternoon shopping at Irving Mall. What's more, Trinity River Greenbelt Park, Dallas Love Field Airport, the Southwestern Medical District Hospital, and other major employers are all less than fifteen minutes away.